Apart from the new expanded universe canon in Star Wars, followers of additional tie-in content are learning new things about the final days of Darth Sidious/Emperor Palpatine, including that he was looking for a "super weapon" (Aftermath Trilogy), interested in "the unknown regions of space" (Thrawn Novel) and that he left contingency plan, Operation: Cinder (Star Wars: Battlefront II, Shatered Empire), for the Empire to DIE without him, but also so it could begin again! Operation: Cinder first appeared in the second issue of the Marvel comic book series Star Wars: Shattered Empire, written by Greg Rucka.1 The second issue, released on October 7, 2015, depicted the beginnings of the attack on Naboo,1 while the third issue, released on October 14, 2015, showed its resolution. Operation: Cinder is further depicted in the story campaign mode of Star Wars Battlefront II, where the Imperial utopia of Vardos is targeted and the battle of Naboo is resolved. The events of the 2017 novel Aftermath: Empire's End, written by Chuck Wendig, revealed that Operation: Cinder was part of a greater Contingency devised by Emperor Palpatine to destroy the Empire and its adversaries so that it could begin again. From other more recant tie-in material we also learn a little more about how Snoke becomes the [Supreme] leader of The First Order. 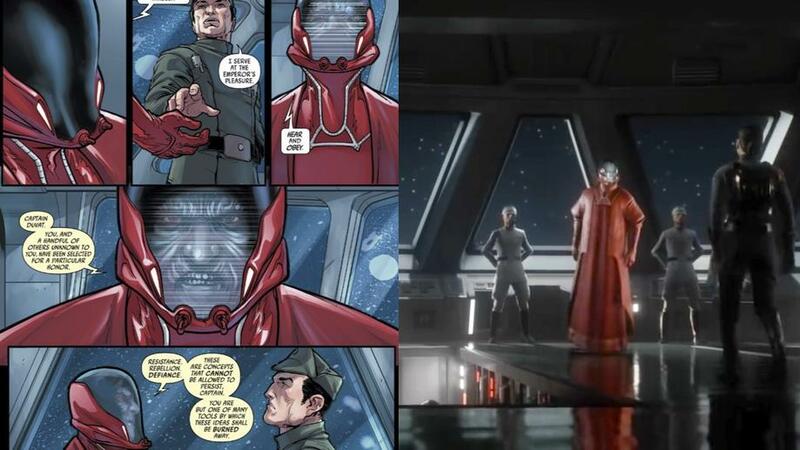 So my question is, Is 'Supreme Leader' Snoke an INTENTIONAL PART of Darth Sidious' Plan? As secondary questions: Does he relate to a super weapon Sidious was looking for and/or Thrawn? Is this all interconnected? Whom is leading whom? I know there may not be enough information to determine ANY of these things, at this time, but just in case there is something I missed. It is known that Snoke did play a part in the evacuation of certain Imperial forces into the Unknown region of the galaxy. However, there are no canon sources that mention Snoke being involved in Operation: Cinder, which was ordered by dead Palpatine. Because Force Awakens happens 30 years after Return of the Jedi, and because it was only made to make sure the empire didn't outlive Palpatine, we can assume Snoke had no part in it. Also since we don't know for certain who Snoke is, we can't assume he was involved the Empire at all (especially since he didn't say any of that, 'finish what the Empire started' crap, and we probably would have at least noticed him if he was part of the Empire in the original trilogy). Not the answer you're looking for? Browse other questions tagged star-wars character-development or ask your own question. Between Vader or Thrawn, whose army has proven more competent to the Empire? Why were the Unknown Regions left uncharted? Why is Snoke so rich?